Railpictures.ca - Mike Molnar Photo: An ETR job passes the construction for the Gordie Howe International Bridge on the northern end of Ojibway Yard. This is the overpass over Ojibway Parkway that will connect the 401 to the bridge’s toll/customs plaza and the Duty Free Store. I’m looking forward to photographing this area over the next few years to document the transition. | Railpictures.ca – Canadian Railway Photography – photographie ferroviaire Canadienne. 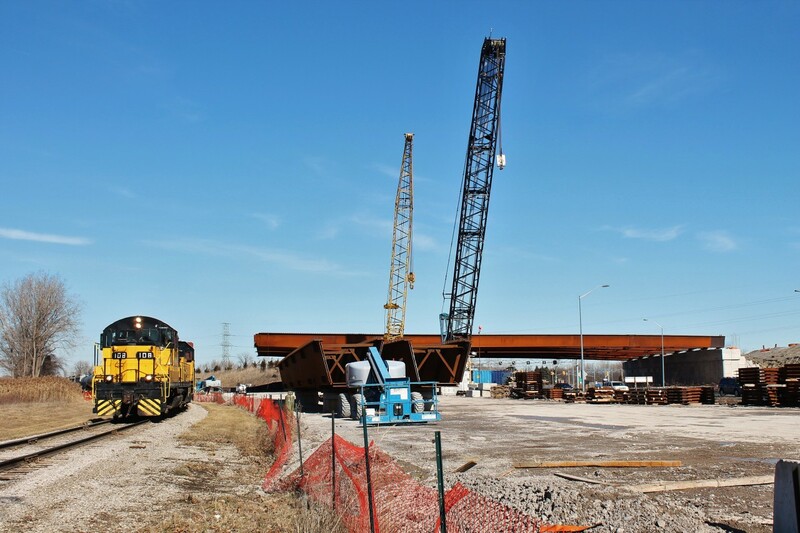 Caption: An ETR job passes the construction for the Gordie Howe International Bridge on the northern end of Ojibway Yard. This is the overpass over Ojibway Parkway that will connect the 401 to the bridge's toll/customs plaza and the Duty Free Store. I'm looking forward to photographing this area over the next few years to document the transition. @Steve Young Yup they finally broke ground back in July 2018 with expected completion date being 2024. They were able to annex all the property in Detroit that was owned by Matty Moroun who owns the Ambassador Bridge. He did everything he could possibly do to delay this project. So, this bridge is actually going to be built? I heard a lot about the politics and the private ownership of the bridges. Obviously, Canada is keen on building it, but I did not see much on the US side. It will be nice when it is done.